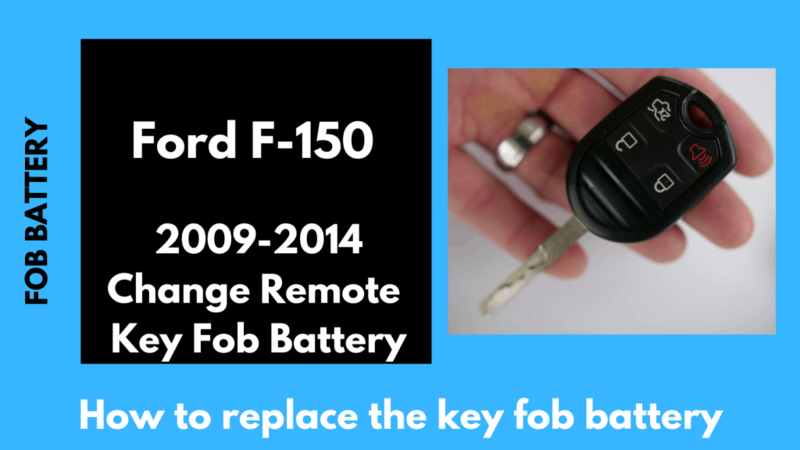 Ford F-150 Key Fob Battery Replacement. Easy How To Guide! 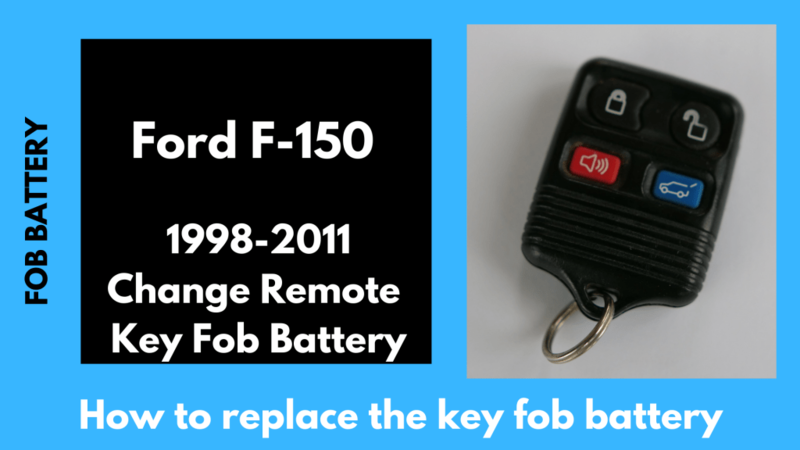 The F-150 key fob has 4 main variants over the past 24 years. 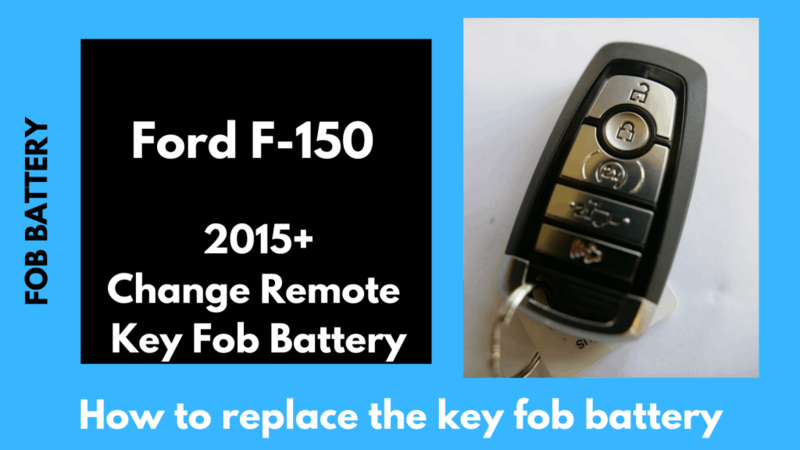 Here’s how to replace the key fob battery for each year / fob version of the Ford F-150 and what battery you will need to buy. Need another Ford key battery? 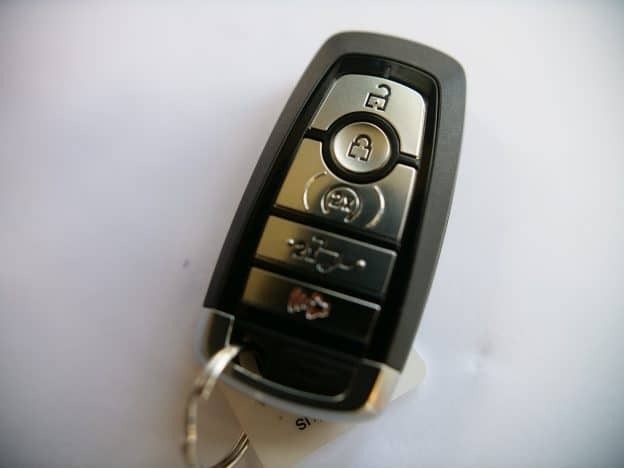 The smart key does not contain a flip out key, instead there is a button that when depressed releases an interior key. 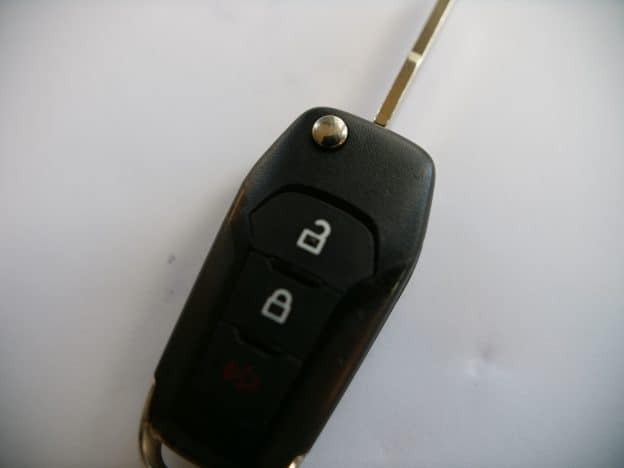 The vehicle itself can be unlocked while the key is in your pocket! These are probably the easiest batteries to replace of any F-150 remote fob. 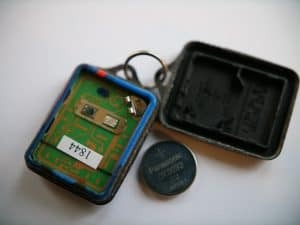 This fob uses the large CR 2450 battery. 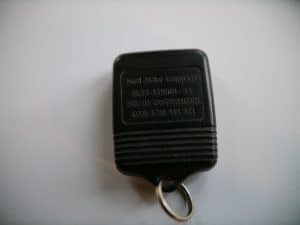 This is a newer fob that does not contain the “smart” key features of the Smart Key fob. This has a flip key and uses a smaller CR2032 battery. 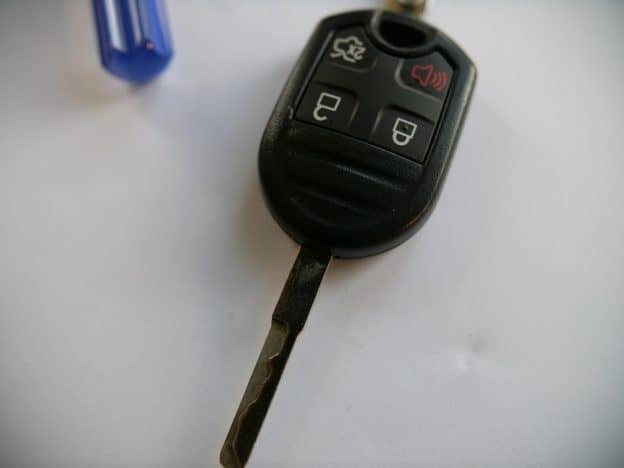 The Rounded key fob was used in F-150 models in the 2009, 2010, 2011, 2012, 2013, 2014 years crossing the 11th and 12th generations of the F-150. 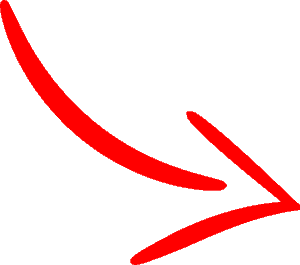 The key does not flip out and is rounded in a semi-circle at the base where the key is at. 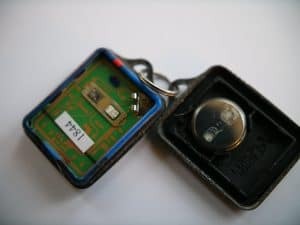 It may contain an unlock and lock buttons, along with truck or alarm buttons. 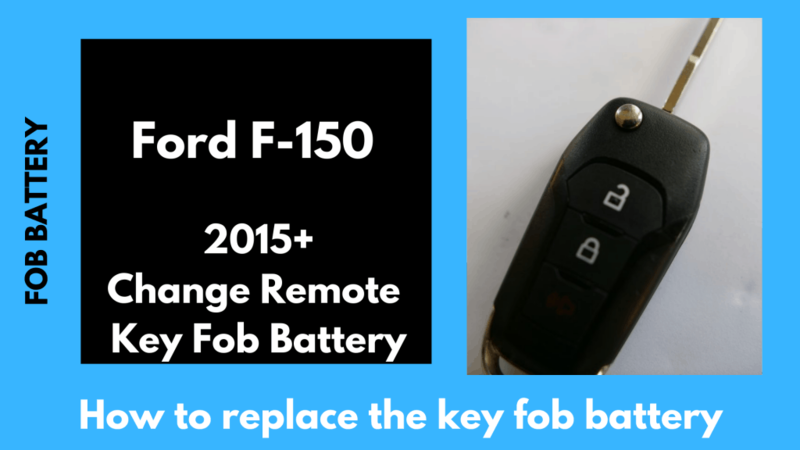 The video below shoes how to replace the key fob battery for the 1998, 1999, 2000, 2001, 2002, 2003, 2004 models of the F-150 that use the square remote unlock fob. 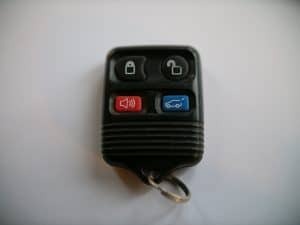 This fob does not contain a key but just the ability to remote unlock the vehicle, sound an alarm, or pop the trunk depending on your model. First produced in 1975, The F-150 has become one of Ford’s top-selling models for years. Alongside is sleek aluminum-body construction is a set of high-tech driver assist as well as an advanced engine. Its beautiful hauler is fit for every job and every personality. Its signature powertrain is a powerful twin-turbo V-6 375hp and 470 lb-ft of torque. This paired with a 10-speed automatic transmission and you can bank on Ford F-150 to tow a best-in-class 13,200 pounds. What is new in 2019 Ford F-150? King Ranch, Lariat, and Platinum models now come with diesel engines. Its Navy Pier interior color scheme has changed to Camel Back two-tone. FordPass Connect has become the standard for F-150 XLT, while the CD player has been removed. The XLT Sport Appearance Package now comes with five-inch angular step bars as well as new exterior colors that include Abyss Grey, Agate Black, and Silver Spruce. Ford F-150 is equipped with almost every advanced safety technology available for passenger vehicles. The driver aid makes the tedious work of backing up the trailer as seamless as twisting a knob. The F-150 is rated one of the safest pickups on the market by the Insurance Institute for Highway Safety. Even without the range-topping engine, the Ford F-150 is a strong performer. Its turbocharged 2.7 liter V6 is quite punchy, and the seamless-shifting 10-speed gearbox makes the most of it. This truck steers and delivers as well as anything in the class. There is a lot to like about the F-150. From programmable Ford keys to comfortable seats as well as the climate control system, this pickup truck delivers the ultimate comfort. Plus its cabin environment is very quiet and calm. And the optional FX4 Off-Road package does not make the ride any objectionable.